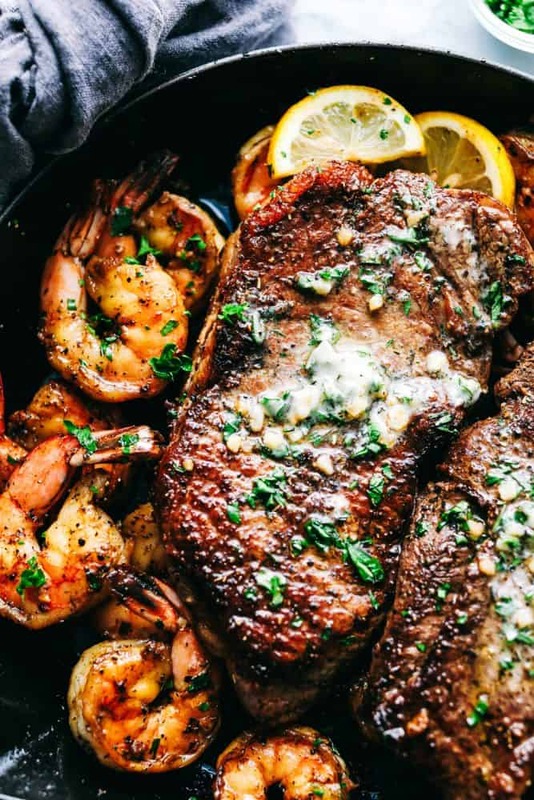 Skillet Garlic Butter Steak and Shrimp is pan seared to tender and juicy perfection with shrimp and slathered in a garlic herb butter. 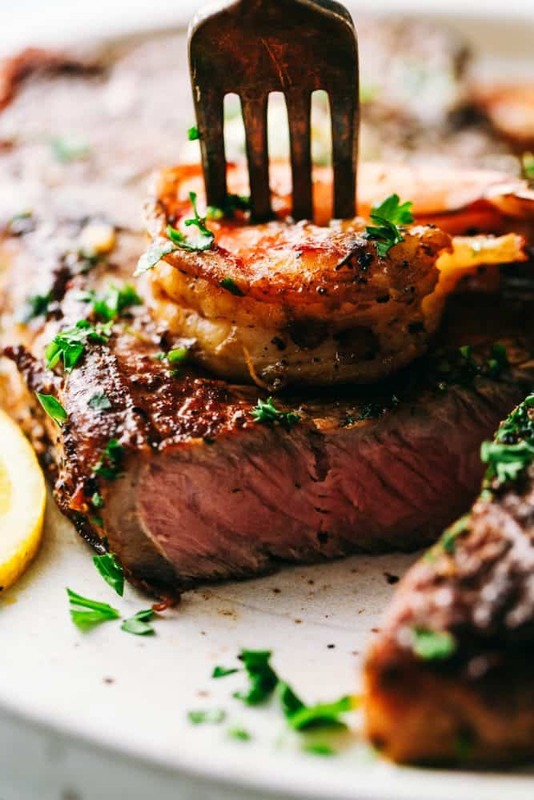 This will be the best steak and shrimp that you EVER make! There are so many amazing steak recipes on the site. Be sure to also try Garlic Herb Steak and Potatoes, Creamy Garlic Steak Bites, or this Lemon Garlic Herb Flank Steak! You can always count on a good steak recipe here on the blog. You can thank my steak loving son for that. We have it just about every single week. I love it because it is so easy to make. The steak only takes about 10 minutes and its on the dinner table. 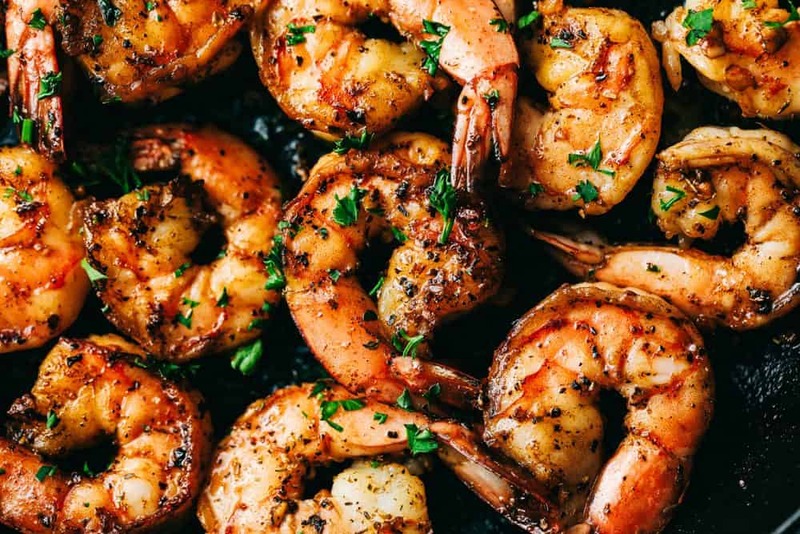 I love cooking steak and shrimp because it gives something for everyone. 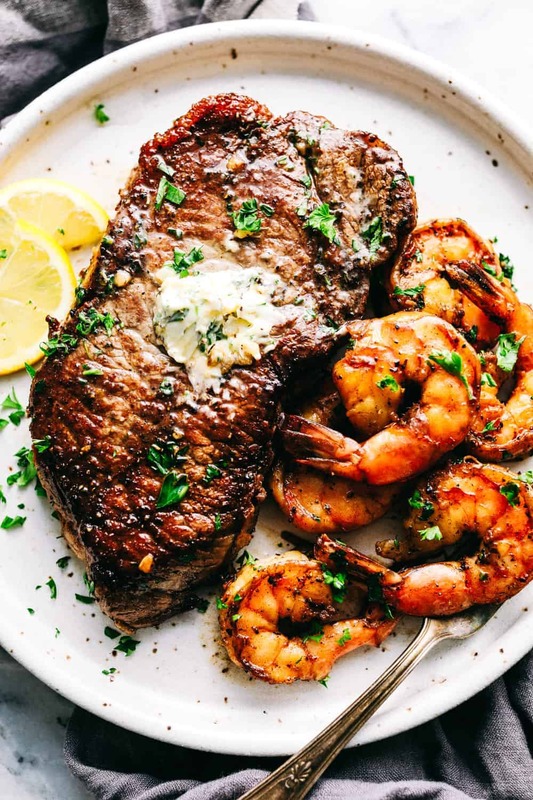 I have perfected the garlic herb butter sauce and I am here to tell you… this will be the best steak and shrimp you EVER eat! 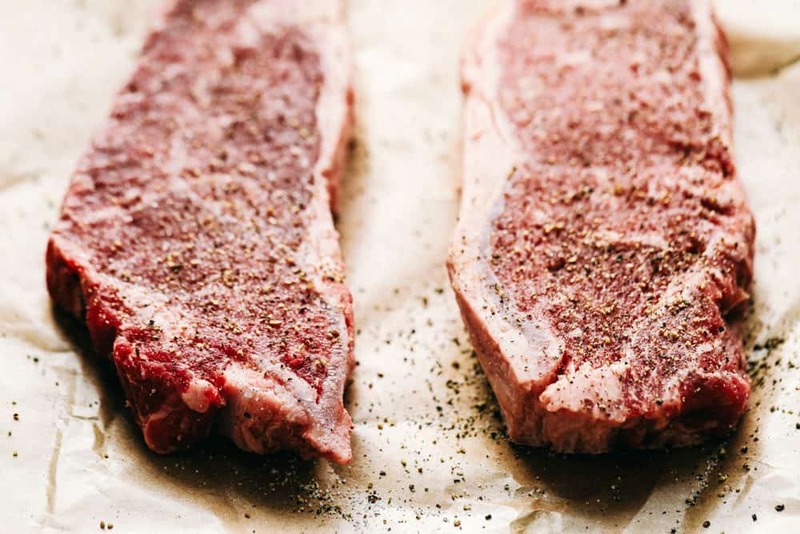 What is the best pan for steaks? A cast iron pan is recommended for steaks. Make sure the cast iron pan is well oiled and seasoned. You can also use a cast iron grill pan. 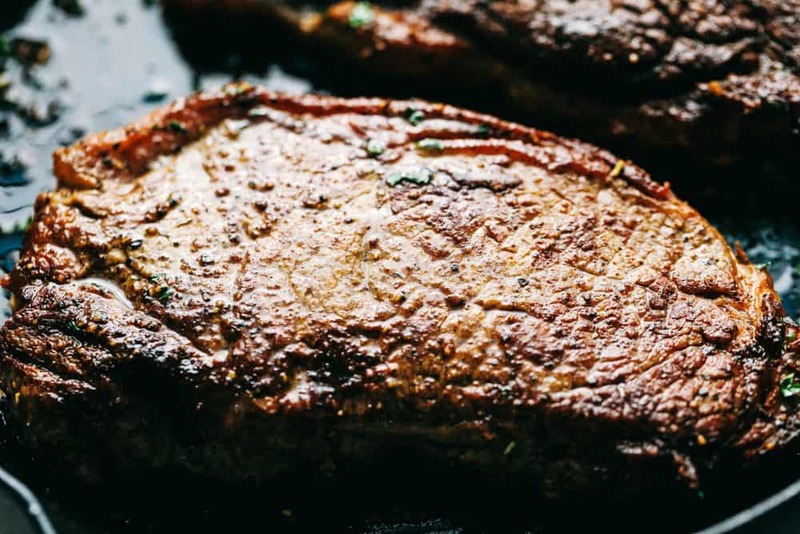 What is the best steak for pan frying? 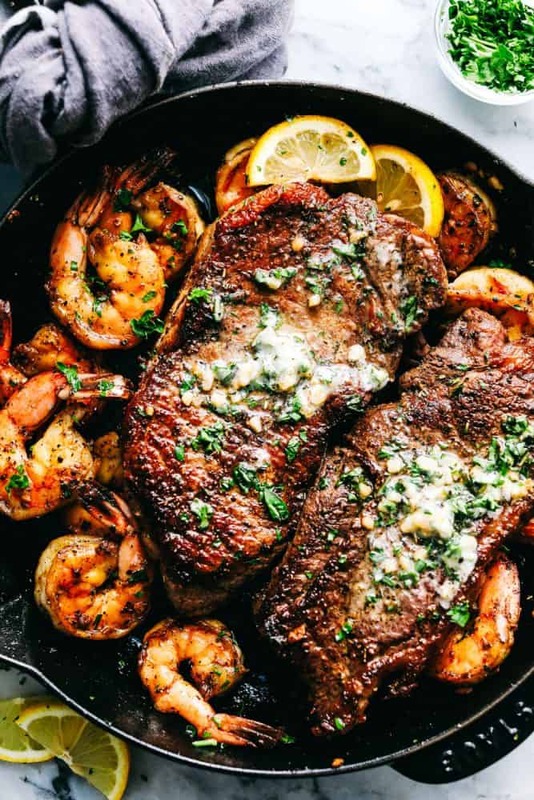 How do you make skillet steak and shrimp? Liberally season your steak of choice with salt and pepper. Turn a medium sized skillet to high heat. Add the olive oil and butter. Add the steaks. Cook on each side for 3 minutes or until outside is browned. Reduce heat to medium high. Cook the steaks to desired doneness. Mine took about 8 minutes flipping 3 times to get a medium. Remove and set aside on a plate to rest. Reduce the skillet heat to medium. Add the shrimp and garlic and cook for 2-3 minutes until opaque. Add the steaks back to the skillet. Make the garlic butter compound. Mix the butter, garlic and fresh chopped herbs. Slather on top of steaks. What should I serve with steak? Turn a medium sized skillet to high heat. Add the olive oil and butter. Add the steaks. Cook on each side for 3 minutes or until outside is browned. Reduce heat to medium high. Cook the steaks to desired doneness. Mine took about 8 minutes flipping 3 times to get a medium. Remove and set aside on a plate. Reduce the skillet heat to medium. Add the shrimp and garlic and cook for 2-3 minutes until opaque. Add the steaks back to the skillet. Make the garlic butter compound. Mix the butter, garlic and fresh chopped herbs. Slather on top of steaks. Question: How to make garlic butter compound? I made this tonight, and it was amazing!!! My daughter, who is my toughest critic, ate every last piece of this meal. At the end of her eating, all I heard was “that was good”. I also made the side dish of Parmesan roasted potatoes, that was suggested as a side dish. This might be the best meal I’ve ever made!!! Thank you. Thanks for the kind words. I love it when a meal is loved by all. Keep up the good work in cooking! Thanks for following along.